Are you looking for a space to rent for an upcoming event? 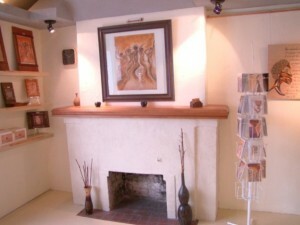 Poetic Art Studio is available for studio space rental for art shows, art workshops, and more. Located in the heart of uptown Toronto, this professional, artistic space is perfect for intimate events, gatherings or art workshops. Part of hosting the perfect event is having the perfect venue to set the mood and inspire your guests. Poetic Art Studio is an inspiring venue that can create the right atmosphere for your daytime or evening event. Poetic Art Studio is conveniently located steps away from Davisville and Mount Pleasant a few blocks east of Davisville subway station. Studio space rental fees start at $30/hour. Are You an Artist Looking for More Space to Work on Your Art or Host a Workshop? In addition to providing space rentals for events. The studio is also rented to artists who are looking for a quiet work space, a place to work on art projects or a space to hold an art or craft workshops. Sometimes trying to re-organize your home space to host a workshop or work on an art project doesn’t quite work out. If you are an artist who is feeling a bit cramped in your current space give us a call to find out about available options. For more information about studio space rental contact Roxane Tracey.